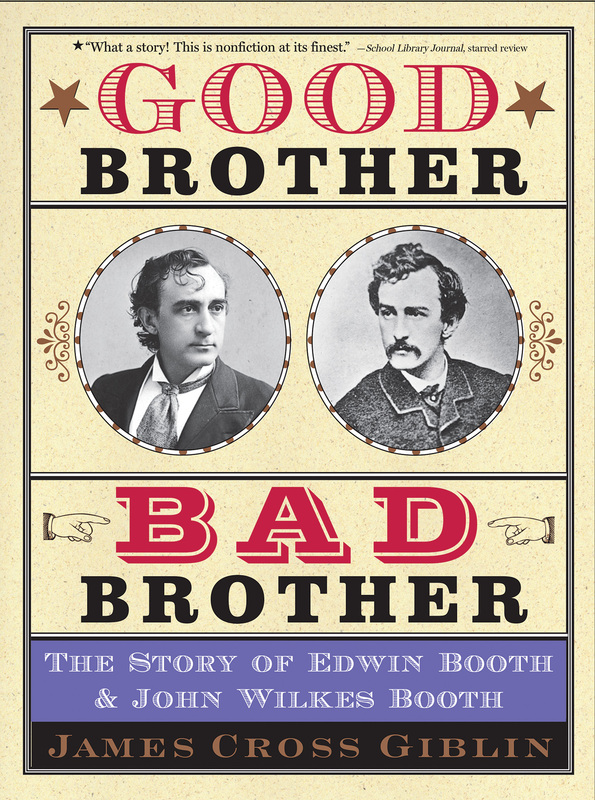 Edwin Booth and his younger brother John Wilkes Booth were, in many ways, two of a kind. They were among America’s finest actors, having inherited their father’s commanding stage presence along with his penchant for alcohol and impulsive behavior. In other respects, the two brothers were very different. Edwin was more introspective, while John was known for his passionate intensity. They stood at opposite poles politically, as well: Edwin voted for Abraham Lincoln; John was an ardent advocate of the Confederacy. Award-winning author James Cross Giblin draws on first-hand accounts of family members, friends, and colleagues to create vivid images of Edwin Booth and his brother John Wilkes, best known today as the man who shot Abraham Lincoln. He traces the events leading up to the assassination and describes the effects of John Wilkes’s infamous deed on himself, his family, and his country. Comprehensive and compelling, this dual portrait illuminates a dark and tragic moment in the nation’s history and explores the complex legacy of two leading men—one revered, the other abhorred. Notes, bibliography, index. Book jacket image and book description courtesy Houghton Mifflin Harcourt. Used with permission.